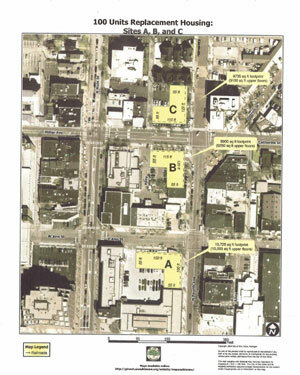 Sites A, B, C, identified as possible locations to build affordable housing units. The image is linked to a higher resolution file in which dimensions are legible. Ann Arbor City Council Working Session (Dec. 8, 2008) At a council working session on Monday evening, attended by all councilmembers including the mayor, one option (consisting of three different sites) was presented for how to replace the 100 units of affordable housing previously provided by the YMCA building at Fifth and William streets. 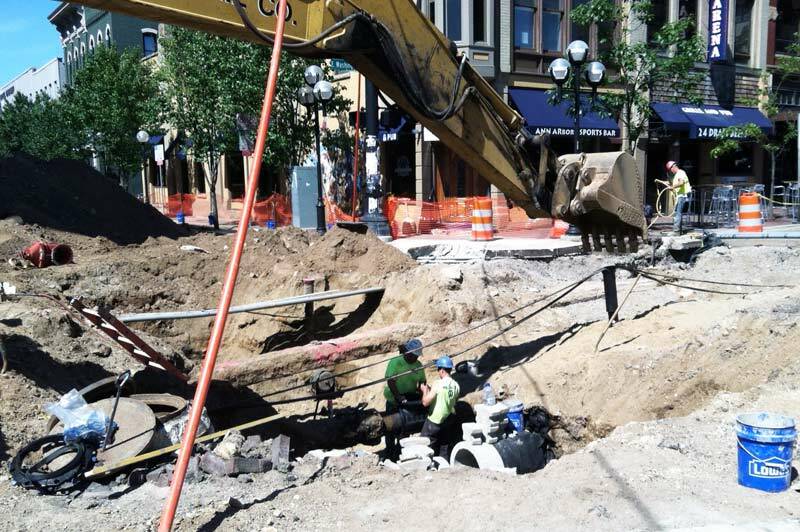 The three sites that were offered by city staff to council for consideration have some different constraints, but the proposed construction on each site is similar. 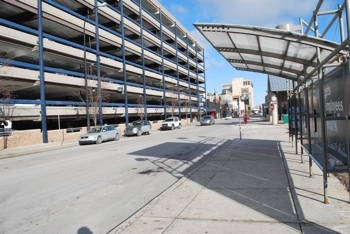 All three sites are located along a roughly one-block long stretch of Fourth Avenue from the south side of Ann Street to the north side of Catherine Street. 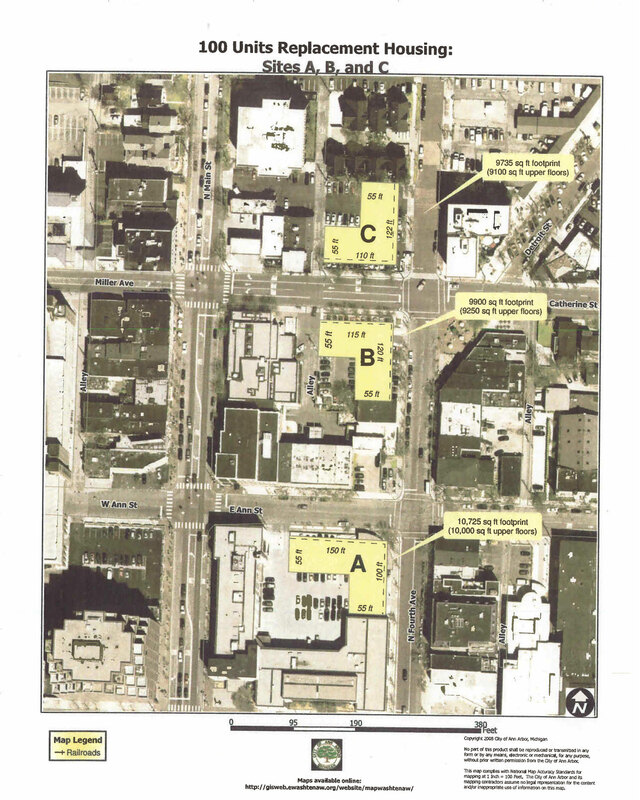 Based on official council action to date, this set of three sites can be fairly seen as one option of three still under conceptual consideration for a replacement location for the 100 affordable units: (i) the old YMCA site, (ii) an alternate downtown location, and (iii) a location outside of downtown.